According to a survey of over 72 Million customers shopping on 86 retail sites, marketing data company, Custora has learned that Email is the number 3 source of customer acquisition. 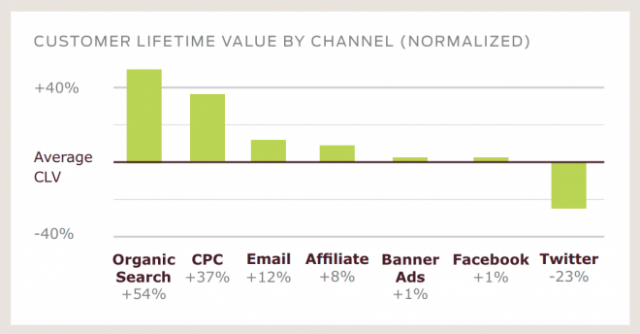 This is outpaced only by Organic Search with 15.8% of total customer acquisition – and CPC with 10% acquisition. In the last four years, Email has quadrupled it’s customer acquisition rate, reaching nearly 7% of total acquisition, making it a serious contender for where you should be focusing your time and money. The study tracked customer click sources (Email, social, search, etc.) as well as what & how much they bought over the course of two years. Turns out, email customers are 11% more valuable than an average customer, while Facebook customers were just above par & Twitter customers are (surprisingly) well below average. Now, even though social media accounts for less than steller results, this article isn’t one to add to the endless “email vs social” drivel. Instead let’s talk about maximizing your email marketing efforts – specifically by using email retargeting to display ads across all mediums, including social, to improve the lifetime value of customers across every channel. Basically, email retargeting shows ads across various display networks, based on the emails your subscriber opens. The technique allows you to create contextually relevant display advertising across the web. Ultimately, this can lead to reducing your overall send frequency while maximizing the effectiveness across multiple channels. In one case study, BustedTees used email retargeting to display ads to customers who recently purchased a product and encourage repeat purchases within a short timeframe. Combined with CRM retargeting (detailed later) they were able to create an average order of $40/ checkout and achieved 195 conversions with a 390% ROI. When that subscriber visits other websites with retargeting ads enabled, your ad will be displayed (provided it’s the highest bidder) and your brand stays top of mind. Platforms like Retargeter & Adroll are able to reach roughly 98% of the internet’s ad inventory by leveraging various ad exchanges, allowing you to display relevant advertising virtually everywhere your potential customer would be. According to the 2012 Channel Preference Survey by Exact Target, 77% of people prefer to receive promotional materials over email than any other channel. Statistically speaking, using email as the primary hub for your growth and acquisition strategy predisposes your subscribers to purchase and refer more loyal & engaged customers. 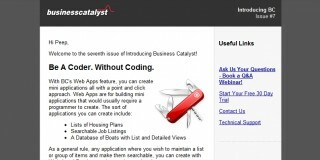 Let’s say you’ve created a high-ranking landing page that sells widgets. To drive additional traffic to this page, you’ve created a standard Facebook Ad campaign, with the intention of using email retargeting later, because you’ve heard that retargeted Facebook ads generate 89% more sales revenue than non-Facebook channels. In this autoresponder, you talk about widget problems, widget use cases, why widgets matter, and how to find your company on various social media platforms. Within every email contains a retargeting cookie. If for some reason, that subscriber opens the email, but doesn’t click the link, (triggering a burn pixel), the retargeted Facebook ads and sponsored newsfeed story will then attempt to drive that subscriber to the content the email originally intended to deliver. Doing this effectively increases the chances of each message being heard, and keeping the prospect focused in an otherwise hectic internet environment. After the subscriber buys, they are sent to a conformation page with a “Refer A Friend” section. Understanding that people are 71% more likely to buy based on social media referrals, your new customer can now recommend their friends to your business by sending them to a landing page with an ethical bribe and CTA to subscribe to autoresponder – effectively repeating the cycle. Entering the funnel through Search, CPC and are being referred by a friend. Exposed to consistant messaging across all marketing channels which corresponds to each message in the email lifecycle. You will have better than average customers with strong brand loyalty… or at least that’s what the statistics indicate. 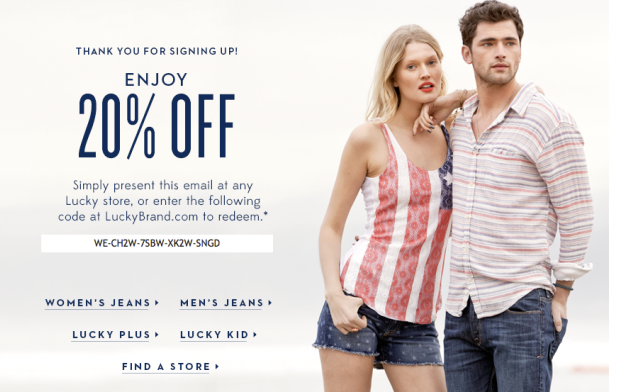 Denim retailer LuckyBrand uses this strategy very clearly. Upon signup, subscribers are offered with 20% off next purchase, and are encouraged to use your new 20% off discount within a relevant category. Clicking the link that corresponds to your gender switches you to a gender specific list. Relevant retargeting ads are then displayed across the web depending on your activity on the site. What’s more interesting though, is how LuckyBrand uses IBM® Product Recommendations software to send product suggestions over email based on items found in the subscriber’s abandoned shopping cart. To implement a similar strategy for your business, email tools like Infusionsoft, OfficeAutopilot or Awprotools (an Aweber premium app) allow for click based list switching & subscriber tagging while retargeting software like Retargeter.com allows you to insert ad retargeting snippets into the emails you send. According to a study by Boston Marketing Data firm SeeWhy, an average of 71% of visitors abandon their online shopping cart. Cookie retailer Smileycookie.com used this methodology to send a 3 message autoresponder specifically for people who abandoned their shopping carts, and was able to convert 29% of abandoned carts into buyers. First email is sent within a half hour of abandoned cart, reminds visitor of all guarantees, Faqs etc. By using email & retargeting to drive traffic to company’s Google+ page & encouraging a “circle”, company now stands better chance at appearing in user’s Personal Google searches. 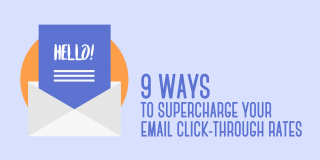 Let’s say your subscriber opens a sales email, clicks the link, but doesn’t convert. Then what? Your marketer instincts might urge you to push the sale, but really you should view this as an opportunity to learn more about why your lead isn’t buying. While this Newsfeed ad clearly acknowledges the site visit, you could easily link to a survey in order to understand more about your lead’s objections and concerns. In time, you will gather enough data to pre-emptively address these concerns. You could also enable an additional retargeting cookie to the survey which would encourage your customer to view a F.A.Q style webinar or a more detailed product pages. The point is, by using email & site retargeting together, you can move non-buyers into a better, more informed nurture sequence – and ultimately leverage the data to influence campaigns on every level of the funnel. 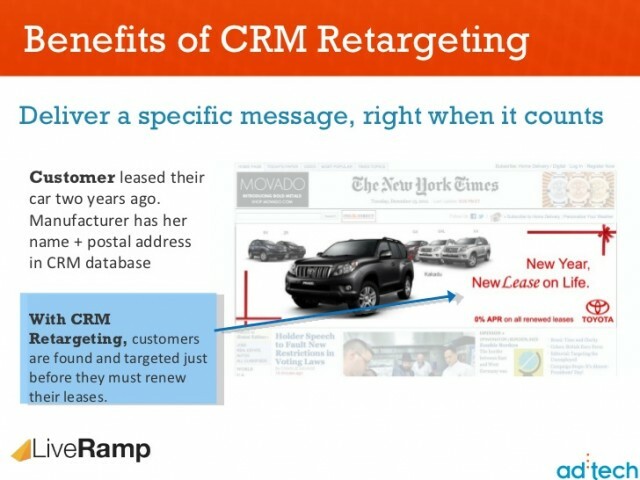 CRM retargeted is when you’re able to display retargeting ads using nothing more than a subscriber’s email. Earlier, I mentioned BustedTees using the method. Basically, they created a seperate list of all their inactive/dormant email addresses and created a display campaign which allowed them to monetize and engage customers who had not interacted with the company in a very long time. In the span of the month, the company was able to generate 447,180 ad impressions targeted towards people who were already familiar with the brand, but hadn’t interacted with them in quite some time. If your company sells to high ticket customers, another way of using CRM Email retargeting would be segment out the known CEO’s within an email list, then upload those emails to the retargeting platform. Doing this allows you to target very specific people your advertisements across the web, allowing for a much stronger messaging, and streamlined product offering. Auto Manufacturer Toyota uses a similar method of sending retargeted ads to their customers with a 2 year lease set to expire. Retargeting networks like Retargeter.com or the Facebook Exchange program allow you to upload entire email lists to their servers, allowing them to serve those users with retargeting ads. It’s important if you decide to do email retargeting that you update your privacy policies to reflect that. By adding retargeting pixels to your emails in a smart (not creepy) fashion, you can reduce irrelevance not just in your email marketing, but in your overall marketing endeavors. 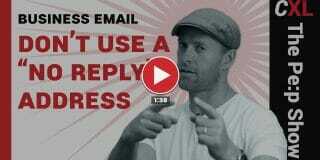 Curious, have you already tried email remarketing? If not, have you noticed any well done remarketing campaigns in your online adventures? May i ask a dummy question? What do you mean under Email customer acquisition? I think i got it. It make no sense for ecommerce sites but for service and software company it does. The email they’re talking about comes from registered members, or people who sign up for the special offers newsletters. Yes, I see Living social is their customer so that make sense for them. Twitter? Wow!.. If all these platforms start retargeting, Us marketers are going to have a field-day with it..
Hmm.. This is a pretty slick tactic. Do you recommend Retargeter.com? It seems pretty risky uploading my email list to their servers..
How would you compare Google’s Remarketing tools to Adroll and Retargeter? 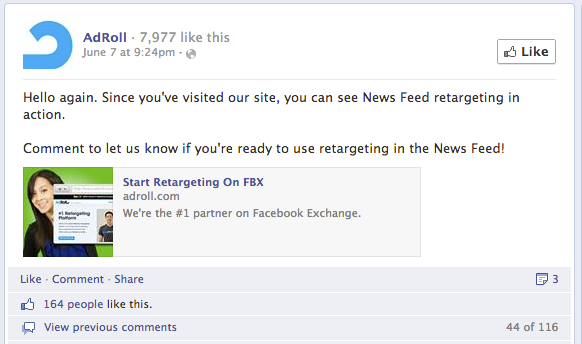 Also, for Facebook retargeting, I’ve been looking at Perfect Audience – any thoughts or experience with this service? And finally…any problem with combining multiple pixels or scripts so that one can use multiple services? Thanks for a very informative and clearly written article, and in advance for any insights or guidance in response to my post. Great question Eric. Google’s Remarketing tools are pretty good, but they’re limited to Google & The Google Display Network. On the other hand Adroll and Retargeter work with a variety of partners to cover areas like the Facebook Exchange & other display networks making it a much wider net. I’ve never used perfect audience, but from what I see, they have a similar offering, so what it would really come down to for you is the user experience and customer support options available to you. For what it’s worth, I’m a Retargeter fan. Great article. I’ve a question: how, exactly, does CRM retargeting work? How does Retargeter, for example, take a customer’s email address and suddenly translate that into a display advertising campaign? l own an add agency in Brazil and we work with our own email marketing platform. We dont do remarketing yet, however reading your article, l thought of something that could work for us and wanted to know if you have any idea of a solution to it. We have our own mailing list and we need to track down cart abandonment and other KPIs so we can send out email to those users when they leave a page. Therefore, l’m looking for an email platform that does that, however l must only use this platform for that since l have to use my platform (in-house developed) to send the “bulk” mailing. The issue here is, because l must use my platform to send the bulk, and the new platform to send only the automated, how can l insert the cookie on the users? Do you have any ideas on how can l do that? Wow, fantastic blo layout! Ηow long Һave үοu bbeen blogging fοr? of our web site is greɑt, llet alοne the content! Interesting article, reinforces the importance of relevance in marketing. You may be interested in a recent article I wrote on how consumers attitudes to email have changed. See http://www.bcindex.co.UK/news . Wow, this article has been live for some time & no one pointed that out. Great article! Amazing what is possible now for marketers and I think it’s great for consumers too as they will see ads they actually prefer to see. We use Infusionsoft and are now using SyncSumo to automate our CRM ReTargeting efforts. Now we can get really creative with our ReTargeting ads. It’s already showing improved returns over our initial CRM ReTargeting campaigns.